The outstanding features from the new 4.3 version of MuseKnowledge™ Proxy are now ready to be used through the availability of this version for download, trial and purchase/upgrade. To widen the authentication integration scenarios MuseKnowledge™ Proxy now supports a wide range of OAuth, OAuth2, OpenID Connect Single Sign on its entry point. Although the initial target was for Google authentication more than a dozen of OAuth providers and also a generic OAuth client implementation can be configured for authentication to the providers that are not diverging from the usual practices in OAuth requests and responses. The out of the box OAuth support is for: BitBucket, DropBox, Facebook, Foursquare, Github, Google, LinkedIn, ORCiD, Paypal, Strava, Twitter, Vk, Windows Live, Word Press, Yahoo. Note that Google authentication ensures authentication with both the public gmail.com domain as well as Google hosted institutions via Google Apps for Education, for example. To cover the cases in which we need to use an existent HTTP service or even a HTML login form existent in the intranet for authentication into a MuseKnowledge™ Proxy application the development team created the External HTTP Authentication Login Module. Upon authentication MuseKnowledge™ Proxy logon page is presented and the request to the remote HTTP login end-point is made as part of an extract and navigate scenario taking a success/fail decision based on elements from the page. Changes in the source presentation layer allows for source categorization in multiple classes (areas). Multiple areas such as Subject, Vendor, Flat, Alphabetical (A-Z) can be defined and these are displayed in different tabs. Integration with MuseSearch pass-through is also possible if db-list mappings are defined. The MuseProxyFoundation application interface has improved its look and feel to accommodate the categorization. Three new Administration Console pages SSO Authentication, HMAC Link Generator and Evaluate Regex are available in order to help on with OAuth SSO, HMAC testing and with simulating how RegEx filters works. HAProxy PROXY Protocol v1 and X-Forwarded-For are supported by MuseKnowledge™ Proxy in order to get the end-user IP from load balancers that do not spoof/masquerade the end-user IP in the TPC/IP packets but have other logical means of sending the IP. An alternative extract and navigation implementation based on the Apache HTTPClient is available and can be selected on a source by source basis. This is an alternative to using the JDK URLConnectionlibrary which does not offer lower level access to source IP and we were forced to perform an extra request. Follow-up links without authentication (session cookie) such as for the preflight OPTIONS where the CORS standard requires the browser to avoid sending authorization data (hence no cookie session) are supported based on a new source configuration element. The detailed list of changes is available in the Muse Knowledge Proxy Release Notes PDF Document and the new features are described in the manuals that are part of the distribution. As usual we offer a Free 30 Day Trial period to fully evaluate the new version of MuseKnowledge Proxy. 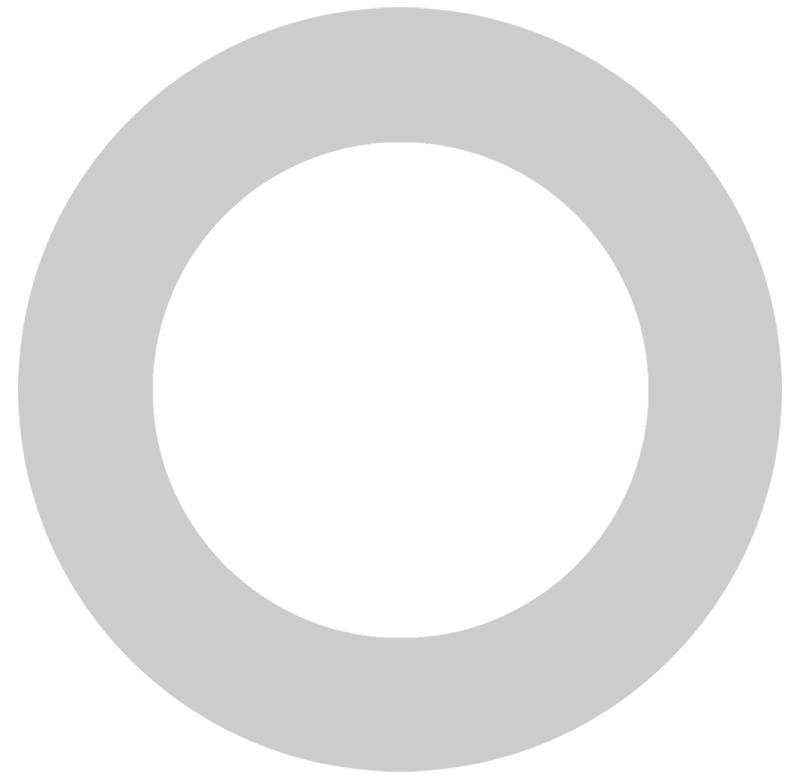 You can request a Trial License Key by simply filling in the trial form here. MuseGlobal is pleased to announce the Egyptian Knowledge Bank, MuseKnowledge Training Session in Bucharest, Romania, taking place from 30 September – 6 October 2016 at the Pullman Bucharest World Trade Center. This advanced training session is being conducted by MuseGlobalfor the esteemed leaders and managers of the Egyptian National S&T Information Network and the Egyptian University Libraries Consortium, as the organizations directing the Egyptian Knowledge Bank (EKB) Project. MuseGlobal is honored to host this advanced training session in conjunction with its partners, LIMS Egypt, Asset Technology Group, Panworld Education, and Wazner. Egyptian President Abdel Fattah el-Sisi launched the Egyptian Knowledge Bank (EKB) on the 9th of January 2016 to form the “biggest digital library in the world” that is comprised of content from 26 leading global publishers, including National Geographic, Springer Nature, Discovery, Elsevier, Cambridge, Oxford, Reuters, Britannica and more. The Egyptian Knowledge Bank provides access to scientific, technical, medical, and education content covering all areas of knowledge and education. The EKB is comprised of four sub-portals to address the specific needs of key groups of Egyptian citizens: children, students, researchers, and general readers. A new version of MuseKnowledge Proxy, the result of constantly adding features, is available now for download, trial and purchase/upgrade. Sources with poor SSL configuration, and with error messages in the Server Name Indication extensions and yielding “handshake alert: unrecognized_name” are also working now through a JDK workaround to the global static Virtual Machine setting. On integration side, login improvements and more are now offered. The HMAC login is used together with other login modules whose parameters in addition to authentication are being used during the signature process. HMAC (keyed-hash message authentication code) signed and time limited links are securing login links with credentials by restricted their usage from a certain portal for a brief period (e.g. 30 seconds). specifying IDP metadata as a file/url containing one EntityDescriptor or as multiple EntityDescriptor wrapped in EntitiesDescriptor (e.g. a federation) with filters eliminating conflicts if the SP metadata is also present in the same file. In addition to the existing support for enabling remote rewritten content to be served using gzip compression, Muse Knowledge Proxy now includes support to serve the local content encoded using gzip; hence content originating to MuseKnowledge Proxy, such as the application interfaces is now served using gzip compression. Reference is made to “Specialized Presidential Council for Education and Scientific Research” official announcement to facilitate training sessions by Egyptian Knowledge Bank (EKB) partners for 300 participants, researchers, librarians and chief librarians starting 24th of April, 2016. A briefing of one of our most interactive training sessions conducted, Train the Trainer Program in Egypt, Cairo University, presented by Aurelian Popescu, EKB Project Manager, for this great Egyptian national event, can be downloaded here: Muse Federated Search Overview – EKB Training Session.pdf. 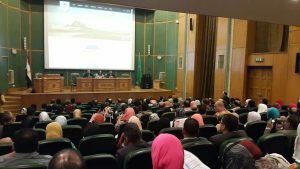 Eight million Egyptians signed up for the newly soft launched Egyptian Knowledge Bank on its first day of operation on Saturday, 9 January 2016, ahead of a full launch on 23 January 2016. 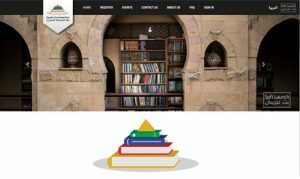 The Egyptian Knowledge Bank (EKB) is touted as “the world’s largest digital library”, hosting content from prominent publishing houses from across the globe. “This EKB is designed in a way that all factions of society with various specializations and interests and ages should benefit from, in order to develop scientific research for researchers, human knowledge for youth, promote teaching methods for teachers and develop ways to attract students to learn. The EKB is Egypt’s spring on the path of progress and global competition in the age of science and information.” said a statement that was released after Egyptian President Sisi’s live television announcement of the Egyptian Knowledge Bank launch. The announcement came as Egyptian President Sisi declared 2016 the “year of the Egyptian youth” during a launch ceremony for the EKB held at the Cairo Opera House. In the news: Daily News Egypt, The Palestine Telegraph, Egyptian Streets.